Last year, California passed a landmark law that made it illegal to sell commercially bred dogs, cats and rabbits. The law applies only to sales in retail establishments, which traditionally obtain animals from puppy mills or other large-scale commercial-animal-breeding operations. The law doesn’t apply to licensed, legitimate breeders. Thanks to the unflagging determination of Assemblymember Patrick O’Donnell (D-Long Beach) and Social Compassion in Legislation founder Judie Mancuso, the Pet Rescue and Adoption Act (AB 485), was signed by Gov. Jerry Brown on October 13 of last year. The act became law on January 1, but if you’re planning on dashing down to the nearest pet store today, there’s no guarantee that you’ll be paying an adoption fee rather than an inflated price for a mill-bred pet. AB 485 won’t go into effect until January 1, 2019, to give the pet-store owners time to transition. Check for source information, which is required to be displayed on the kennel or cage and in the possession of the store owner. Two other animal-friendly measures that passed during 2017 did take effect on January 1 of this year. One of them is AB 1491 (Caballero, D-Salinas), the Ban on Pet Leasing. Yes, pet leasing. That phrase might give the shudders to even the most marginal of pet lovers. The ASPCA describes it as a “disturbing trend”—a predatory financial arrangement that seems to make the sale of an expensive pet more accessible. New owners are offered a “low monthly payment” that is often padded with interest and large fees. Animal laws are continually moving away from the “pets are property” mindset, and AB 1491 moves right along with it. But the Pet and Rescue Act won’t be in effect for a year, so people who choose to buy a commercially bred pet should be aware of this practice. An article on the ASPCA website, “Puppies for Sale or Lease,” explains that puppies and other young animals soon become “outmoded” if they don’t sell when they’re young and adorable. 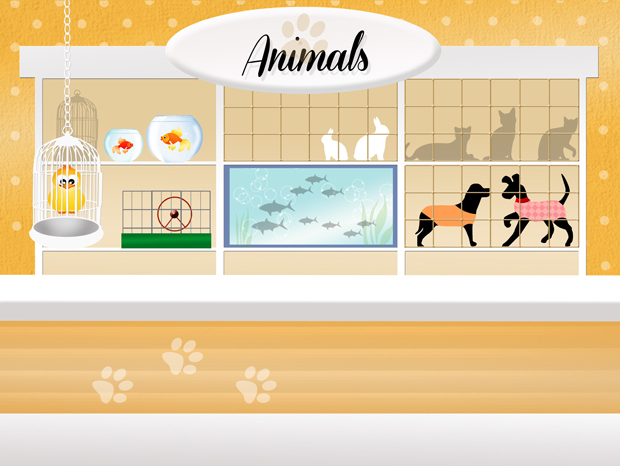 In order to get rid of this “shopworn” merchandise, pet stores offer potential owners a low monthly fee that inflates the already big-ticket price through added costs. But that’s not the worst of it. The Ban on Pet Leasing will render void any contract made after January 1 of this year. The customer will subsequently be considered the pet’s owner—in this case, the idea of pets as property may work to an advantage—and as such will be entitled to the return of all amounts paid under the contract. However, this applies only to contracts signed in the store and not to an unsecured loan such as a credit card purchase or a loan secured outside the store. In this case, a beloved pooch can still be repossessed. So before you buy an overpriced dog, cat or rabbit, caveat emptor—buyer, beware. And there are always shelters and rescues where there will be a nominal fee charged, but it’s considerably lower than pet-store prices, and it covers spay/neuter, vaccinations and microchips. Riggs is referring to the Housing Developments: Pet Permissibility Bill, which takes a nip, if not a huge bite, out of the struggle that renters have trying to find a pet-friendly dwelling. AB 1137 (Maienschien, R-San Diego) mandates the Department of Housing and Community Development (HCD) to require that any affordable-housing development of five or more units financed after January 1 of this year allow any resident to keep one or more household pets. Pets would be defined as cats, dogs and rabbits. Existing law prohibits not allowing an elderly person or a person requiring supportive services to keep pets, with a limit of two animals. There’s no language in the bill’s text regarding number or weight, but Assemblymember Maienschien’s office said that AB 1137 authorizes, but does not require, HCD to provide additional guidance in implementation of the law. This could include restrictions on the number or size of pets given the size or configuration of particular housing developments or other regulations that conform with the intent of the law. Administrative regulations would require public noticing and input prior to adoption. Since state law prohibits breed-specific laws, no development may prohibit pit bulls or any other animal breed; however, size restrictions may render this moot. The Long Beach Development Services office identified two developments that are applying for funding from HCD. The Spark at Midtown Apartments, 1900 Long Beach Boulevard, will include 95 units, and Las Ventanas Apartments at 1795 Long Beach Boulevard will constitute 101 units. State income levels for qualification as a low-income renter are multileveled and vary yearly, as they are contingent on the area median income [AMI]). There’s no doubt that AB 1137 literally opens doors to more residents who won’t need to make the choice between surrendering their beloved pet and living with them in unsatisfactory conditions. 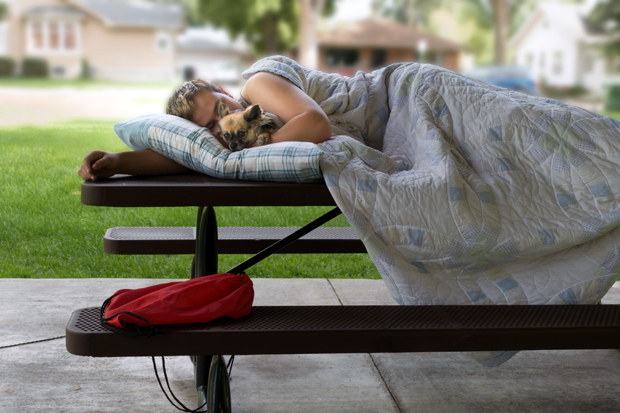 Others, however, who either don’t qualify for affordable housing or choose not to live in a large complex have a struggle finding a place that will allow them to keep a pet. Long Beach resident Christina Lopriore said that she has experienced the hassles of finding a place that would take both her small dogs and that it costs her a small fortune in fees and “pet rent” to keep them in her life. She isn’t alone. And, frequently, size does matter. 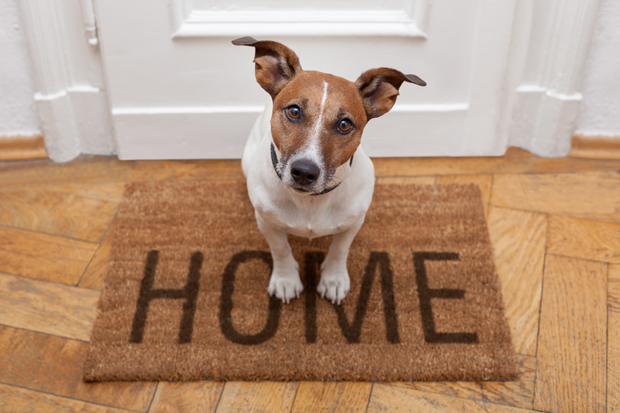 ASPCA research seems to indicate that housing that doesn’t permit animals is a primary reason that renters rehome their pets, frequently relinquishing them to shelters. Approximately 18 percent of L.A. shelters—over 300,000 cats and dogs—were surrendered because of relocation. The City of Long Beach Animal Care Services (ACS) has a comparably smaller sample to work with, but last year’s owner-relinquished pets totaled 588 for dogs and 291 for cats. Out of these numbers, 29 cats and 58 dogs were relinquished because of a move. At nearly 10 percent for cats and almost 20 percent for dogs, the percentages aren’t eye-popping, but the numbers themselves do paint a picture—that’s nearly 90 a year. And considering that ACS’s total live intakes were 2,464 for dogs and 3,472 for cats, you could suppose that some of the shelter pickups were abandoned when the owners moved. Kliche, herself a pet-friendly landlord, hopes that the new law will set an example for others. Living with animals can be a wonderful experience, especially if we choose to learn the valuable lessons animals teach through their natural enthusiasm, grace, resourcefulness, affection and forgiveness.